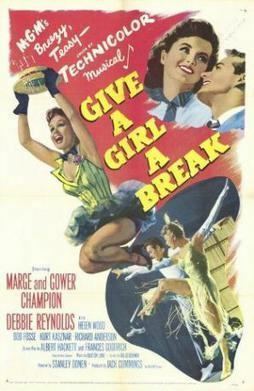 Give a Girl a Break is a 1953 musical comedy film directed by Stanley Donen, starring Debbie Reynolds and the dance team of Marge and Gower Champion. A young Bob Fosse has a featured role. When the temperamental star of a new Broadway musical revue in rehearsals walks out, director and choreographer Ted Sturgis (Gower Champion) suggests casting an unknown for the role. When it is announced in the newspapers, throngs of hopefuls show up. 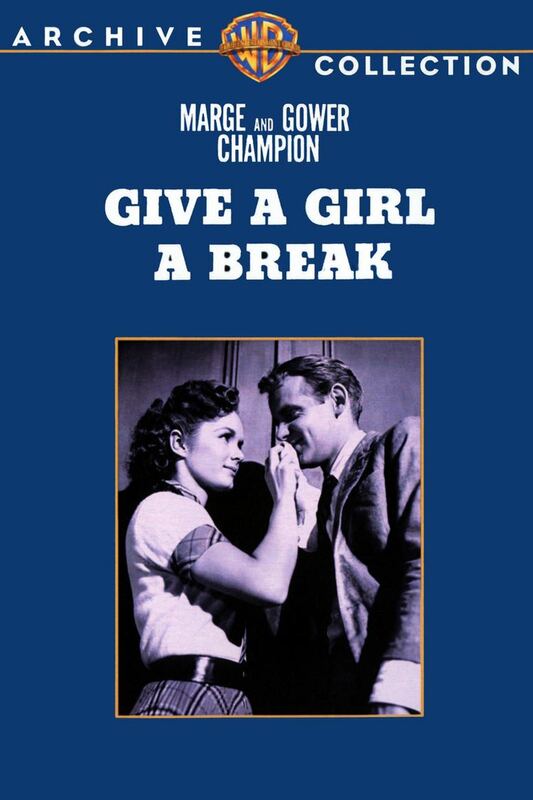 They sing about their hopes in the song, "Give a Girl a Break." 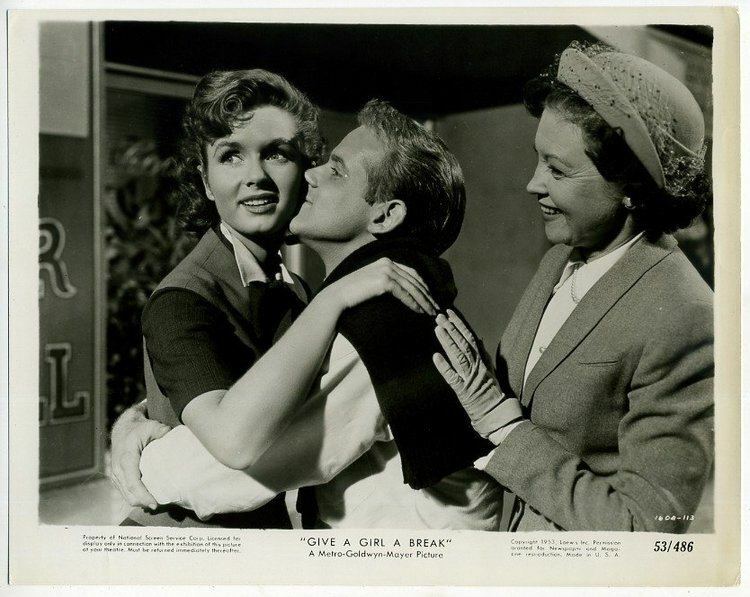 The revue's musical composer, Leo Belney (Kurt Kasznar), champions ballerina Joanna Moss, while gofer Bob Dowdy (Bob Fosse) is enchanted by novice Suzy Doolittle (Debbie Reynolds). 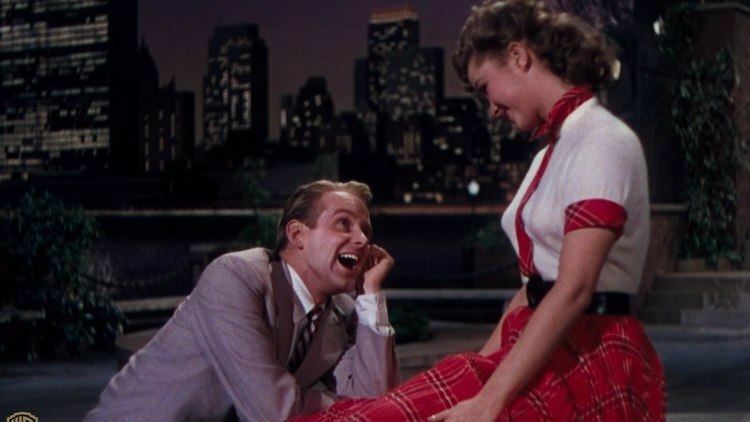 Then producer Felix Jordan (Larry Keating) persuades Ted's former dance partner, Madelyn Corlane (Marge Champion), to come out of retirement to try out, much to Ted's great discomfort. Leo, Bob, and Ted sing about the challenges of re-writing the show for a new performer in "Nothing is Impossible." Joanna goes home and tells her husband she has a good chance of getting the part. He has exciting news of his own. He has been offered a position as head of the English Department at a major University out of state. They argue and then make up. Suzy goes home to tell her mother she has a chance at the part. Her mother tells her she should spend the evening readying for the audition tomorrow. Bob shows up while she is practicing. She goes out with him. They sing and dance to "In Our United State." Ted visits Madelyn to let her know that if she wants the part she better show up and give a great audition. He begins "The challenge Dance." She matches him step for step. They are ready to fall into each other's arms when her date for the evening shows up. 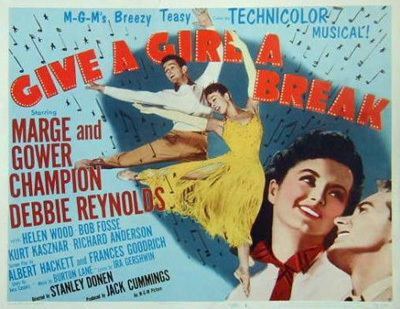 Bob fantasizes about dancing with Suzy in a sequence using the songs "Give a Girl a Break" and "In Our United State." Leo fantasizes about conducting an orchestra while Joanna (Helen Wood) dances to the "Puppet Master Dance." Ted envisions himself dancing with Madelyn to "It Happens Ev'ry Time." Joanna, Suzy and Madelyn all perform well at the audition. Leo, Felix and Ted discuss who should get the part. Bob overhears them talking about Suzy in the role and assuming she has the part, he calls her and tells her she has the part. Felix and Leo both want Joanna in the part. Ted prefers Madelyn but he concedes. Joanna accepts the part. Bob calls Suzy to tell her he was mistaken. Suzy is crushed. Ted goes in person to let Madelyn know. Rehearsals are underway with Joanna. She isn't doing well and runs to her dressing room in tears. Her husband shows up ready to leave town for his new job. Joanna stops crying and happily announces she is pregnant and she is leaving with her husband. Felix, Leo and Ted discuss hiring Suzy for the part. Bob runs and calls her to let her know. She doesn't believe him but he convinces her. However, they have decided to offer the part to Madelyn. But when it becomes clear that Madelyn has left town and can't be reached, the job is offered to Suzy. Opening night arrives. We see Ted and Suzy dance and sing to "Applause, Applause." The show, and Suzy, are a hit. Ted walks out into the empty theater after the show and sees Madelyn. He asks why she left. She tells him she wanted to find out if it was show business she missed or him. It was him. They run into each other's arms. Ira Gershwin and Burton Lane wrote Applause, Applause for the film. According to MGM records the film earned $772,000 in the US and Canada and $506,000 elsewhere, resulting in a loss of $1,156,000.